The highly-anticipated religious drama has finally arrived but the Ben-Hur reviews aren’t very thrilled with the new feature. Costing approximately 100 million dollars, symptoms the latest version of Ben-Hur has finally arrived in theaters nationwide. 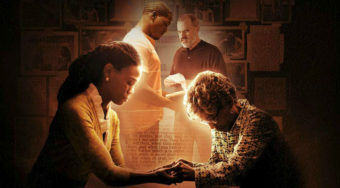 The well-known story (which has been told on the big screen multiple times before) contains powerful themes about betrayal, brotherhood and ultimately forgiveness but critics haven’t been as forgiving of this new feature’s flaws. At this writing, Ben-Hur only has a 29% positive rating on RottenTomatoes.com. That number will likely change as new reviews pour in. 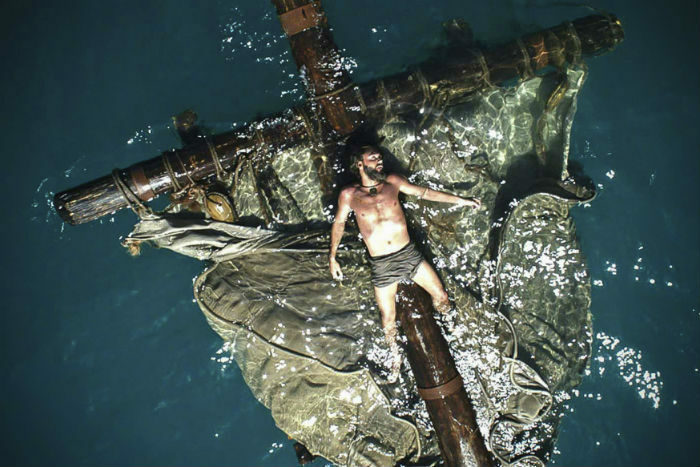 We’ve looked over a lot of the new reviews and here’s a list of a few of the must-read Ben-Hur reviews below (and make sure you check out our own review here). Ed Morrissey, HotAir.com: “The 2016 version of Ben-Hur won’t come close to eclipsing the Charlton Heston version from 1959. But moviegoers today don’t have to choose one or the other, and this Ben-Hur acquits itself well enough to justify buying a movie ticket. .” Check out the full review here. Nell Minow, Beliefnet.com: “The screenplay has some clunky dialog and awkward transitions, but Huston is always engaged and engaging and balances the intensity of the action scenes with an inspiring message of forgiveness.Check out the full review here. Owen Gleiberman, Variety.com: “the new “Ben-Hur” tries to “humanize” everything, starting with Huston’s overly moist Judah, and the result is that this story seems a lot less human than it did 57 years ago.” Check out the full review here. Stephen Holden, NYTimes.com: “The best thing about the reimagined “Ben-Hur,” directed by Timur Bekmambetov (“Wanted,” “Abraham Lincoln: Vampire Hunter”) from a screenplay by Keith Clarke and John Ridley, is that it delivers a contest as thunderously stirring as any action sequence from the “Fast and Furious” franchise.”Check out the full review here. Scott Collura, IGN.com: “[The director’s] flair for visuals and action doesn’t mesh terribly well with this particular story/” Check out the full review here. 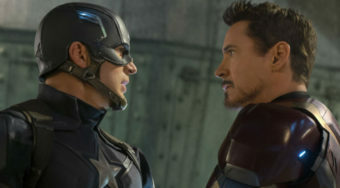 Glenn Kenny, RogerEbert.com: “I have to credit Burnett and Downey here; clearly they had a commitment to keeping the film as ‘family-friendly’ as possible. 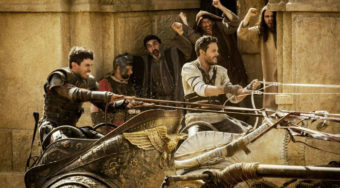 The chariot race, too, is both wholly watchable—no bones are crunched, and plenty could have been—and coherent.” Check out the full review here. Leonard Maltin, LeonardMaltin.com: “Young people who chance to see this film may find it entirely satisfying. But for those of us who can’t erase the memory of its predecessor (not to mention the heralded silent MGM production) it can only be of passing interest.” Check out the full review here. Richard Roeper, Chicago Sun-Times: “Director Timur Bekmambetov (a talented stylist whose work includes the underrated Angelina Jolie vehicle “Wanted” and the loopy guilty pleasure “Abraham Lincoln: Vampire Hunter”) is a mismatch for this material.” Check out the full review here. Ignatiy Vishnevetsky, AVClub.com: “Ben-Hur announces itself as the sort of elemental re-imagining of the source material that no one in their right mind would ever expect it to be.” Check out the full review here. Pete Hammond, Deadline.com: I just don’t get why certain filmmakers are drawn to doing big-screen remakes of major Oscar-winning movies that should be untouchable.” Check out the full review here. If you want to read our perspective on the film, click here for our review. Ben-Hur is now in theaters nationwide.